Infinium Multitech is Surat, Gujarat based IT company specializing in software development and cross platform applications development services. We provide best-in-class IT solutions such as custom web development, e-commerce solution, customised ERP solution, mobile apps development, data warehousing, data migration and much more. We're focused on establishing long-term relationships with each and every customer. To be sustainable and profitable as a business we must satisfy our customers in terms of quality and timeliness of deliverables, out of the box approaches to solving their issues and ability to stay within their products development processes. To deliver excellent products, by strategically partnering with our clients and helping them to leverage their business growth using Innovative and latest technology. Infinium Multitech has always priority thinking of the solution and not the problem and this ideology has made a leader of software development and Web development industry. Our responsiveness, high-quality work, dedicated team of web developing, and best result are make the client satisfaction. Delivering highly scalable solutions of software development with robust coding and flexible functionalities, our services are industry leader in introducing pioneer software applications across a range of businesses and industries. We have the technology to serve businesses across all verticals into many domain; the majority of our solutions are on demand and can be delivered at highly competitive rates and delivered at lightning speed. To Deliver best software products as well IT services across the world and expand our IT solution portfolio which cover almost all the technologies available nowadays in the market. We aspire to be the best IT software and solutions provider company, through technology leadership, innovation and a vast experienced work force, to give the world best we can serve. We excel in every opportunity of providing outstanding products service, timely support to our clients and believe in constant restructuring, adding new services and values thereby exceeding the quality and client expectations. We specialize in cloud ERP Solutions, Custom Web Applications, Business Management Systems, Web Design & Development, Dynamic CMS, Desktop Apps Development, Android/iPhone Apps Development etc. We build IT Solutions, which evolve with the changing needs of your business. 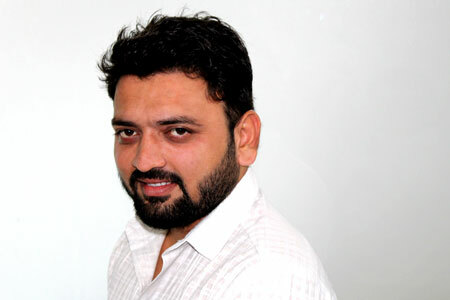 Mr. Mayur Paghdal has 6+ years of exp. in software design and development. He drives the company’s strategy and execution. He has ability to provide technical solution with smartness & simplicity. He is the CFO of Infinium multitech, and oversees the company’s financial operations. He is responsible for financial planning and analysis, accounting, treasury activities, and investor relations. 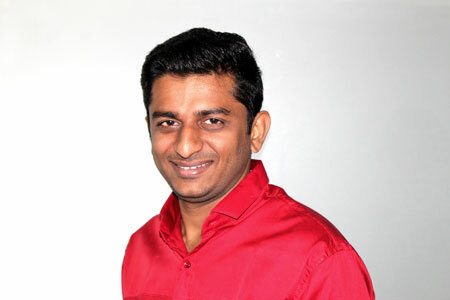 Mr. Arun Vekariya has 4 years of experience in marketing & networking. He leads a team that is responsible for marketing, selling, implementing and supporting software solutions.